"The best of both worlds. 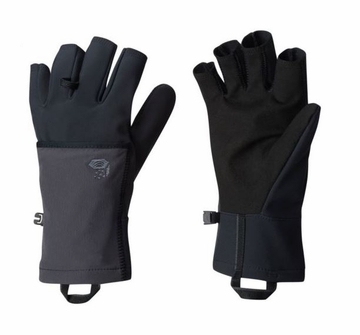 The Bandito Glove’s articulated fingerless design gives you hands-on dexterity when you’re on the face or handling tools. Need more warmth on a belay? 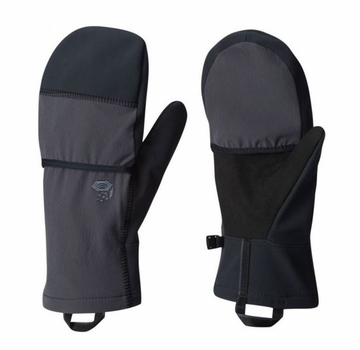 Simply reach into the stow pocket on the back of each hand to release the overmitten. Converts in seconds without buttons, zippers or easy-to-lose parts. Deflection softshell blocks wind and cold while the synthetic leather palm provides a sure grip. Re-engineered pull-loops sewn higher on the cuff for greater precision when pulling your gloves up snug. Weight: 3.6 oz. / 103 g. "